Sometimes with these DVD specials, they take such wide ranging and diverse episodes from various other TV series that yes they have a link in subject matter, but it can be argued that it’s tenuous at best. So when I saw this series I was interested to check it out, but it also felt it could leave itself open to be so wide ranging that some parts could be interesting while others not so much. 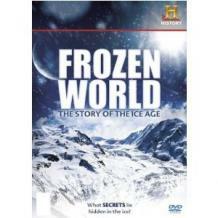 This ended up being one of the better compilation DVD series I’ve seen of late, as not only was the subject matter interesting, but the different episodes from other series helped build a very concise story of what the earth was like during our ice ages. It was a long series, but well worth checking out if you’re a history buff, or even have an interest in science.